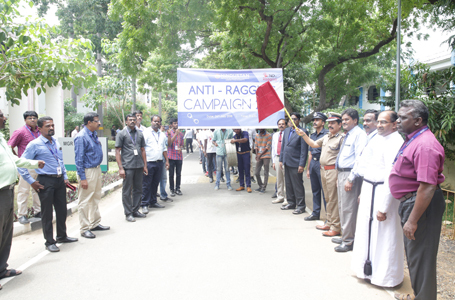 The Anti-Ragging campaign was held on 26th July 2018. 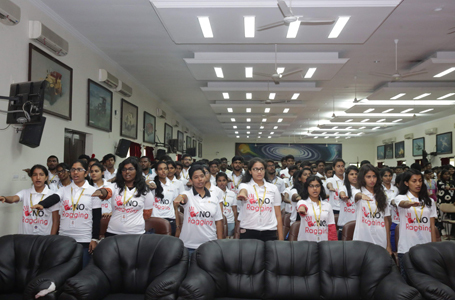 Over 900 senior students attended the event. 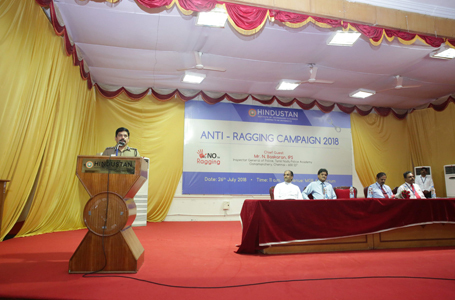 Dr. Pon Ramalingam, Registrar gave the welcome address and outlined the legal consequence of ragging on the campus. 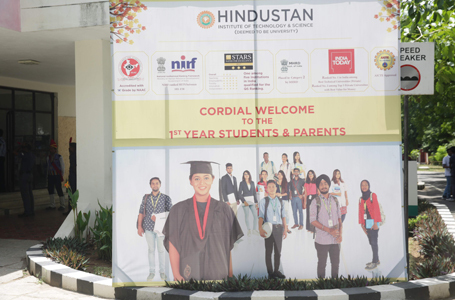 He also lauded students for rendering a “Ragging–free” campus at HITS for the last five years. 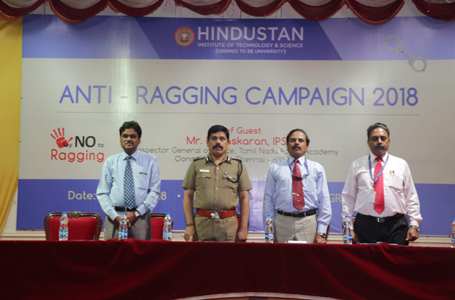 Chief Guest, Mr. N. Baskaran, IPS explained in detail the consequences of indulging in ragging incidents. 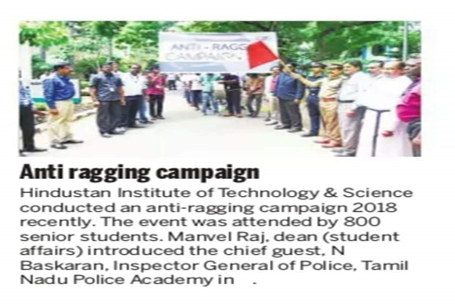 He also suggested mechanisms needed to be put in place for curbing ragging among students. 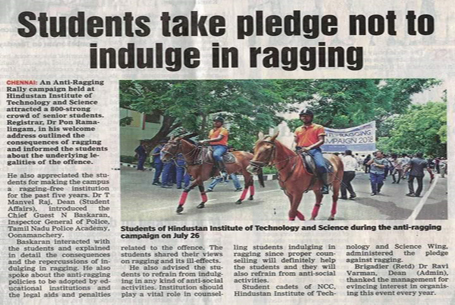 Ms. H. Pavithra, 2nd year, B.Tech., CSE administered the pledge against ragging with students. 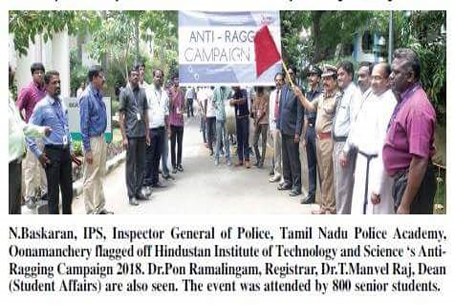 The Anti Ragging rally was flagged off by Mr. N. Baskaran.